(Fayette County, IN)--Details of a rescue on the Whitewater River are out today. Three kayakers had to be rescued from a logjam on the river between the Waterloo and 5th Street Bridges in Fayette County on Sunday. Rescuers spent two hours getting to the trio, which included a juvenile. Officials are now cautioning canoers in the area because IDEM rules prevent the logjam’s removal. There were no injuries. (Richmond, IN)--A large drunken brawl involving about ten people in the 400 block of South 6th in Richmond Monday night has landed four people in jail Tuesday morning. It began when an allegedly drunk 38-year-old Honey Toscholg stabbed a dog. Others in the area began beating each other with sticks. 37-year-old Brian Catron, 55-year-old Darren Boyce, and 60-year-old Charles Henemyre were all taken to jail. Injuries to humans were minor, but the dog sustained life-threatening injuries and was taken for emergency surgery. It’s condition has not been made available. (Richmond, IN)--Richmond Common Council Monday night held a special meeting to deal with companies that had become non-compliant with tax abatements. In particular, three companies had failed to meet requirements of abatements…ODS, Recycling Center, and Productivity Fabrications. Parties squabbled about the time of notification. "You guys sat on it, so now the 45 days never really runs for them," said John Zetzl representing ODS. The city’s Tony Foster countered. "You were notified with 45 day of the Department of Metropolitan Development receiving these tax abatement compliance forms." In the end, council accepted the explanation that an economic downturn factored into the companies’ failure and extended the abatements. (Richmond, IN)--Wayne County law enforcement officers went all the way to the Birmingham, Alabama area over the weekend to get an alleged Richmond drug dealer, only to have that dealer bond out and go free in less than 12 hours. 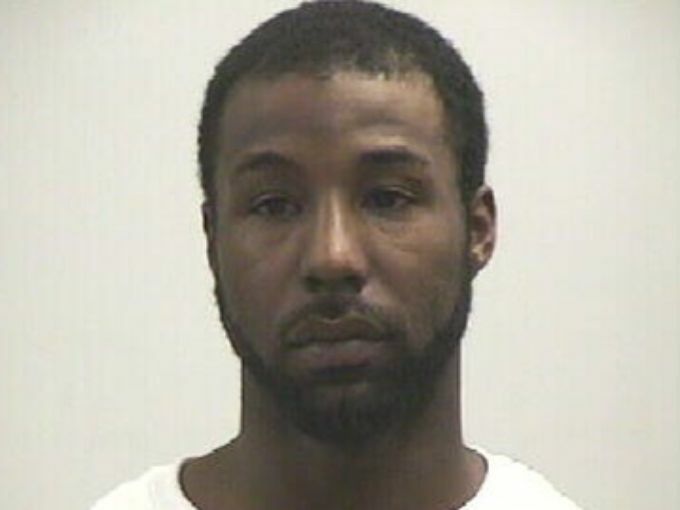 27-year-old Kenton Bennett posted a $25,000 bond and was released from Wayne County’s jail. 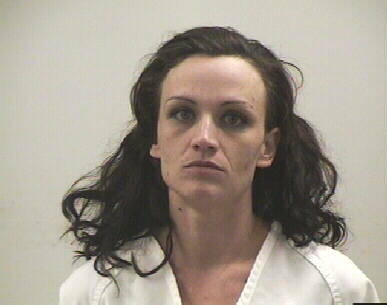 Bennett is one of 22 accused drug dealers charged in a Richmond sweep last month. 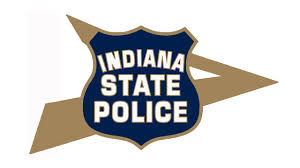 (Cambridge City, IN)--There was a serious crash on I-70 in western Wayne County Monday morning. The interstate was shut down in both directions at around 12:30 Monday morning when a single car rolled into the median. One occupant was trapped for an extended period of time and was flown to a Level 1 trauma center when he was extricated. There’s no word yet on his identity or condition, or what led to the crash. (Richmond, IN)--What started as a simple shoplifting arrest at Richmond’s Walmart Sunday night turned into much more. 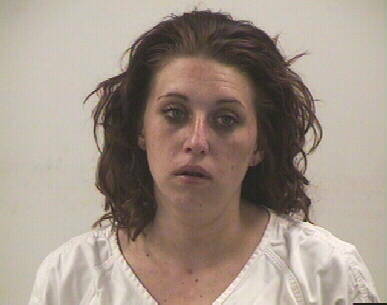 Police were called there on a complaint involving 30-year-old Nikki Leese of Union City. After further investigation, officers discovered what was described as a large amount of methamphetamine in Leese’s possession. She was taken to the Wayne County Jail and was still there Monday morning. (Richmond, IN)--Police in Richmond continue on Friday to search for 20-year-old Zachary Vansickle. Vansickle is wanted most recently for a domestic battery that occurred Wednesday night, but he’s also wanted for questioning related to several robberies of Richmond businesses, including the Village Pantry on South 9th earlier this week. Vansickle failed to appear at an April hearing. He has ties to the Sarasota, Florida area. (Richmond, IN)--Counterfeit money is turning up in Richmond. Specifically, phony $20 bills have been recovered at various locations, including fast food restaurants this week. A counterfeit 20 was taken by investigators at First Bank Thursday afternoon. Another was taken at the Wayne County Fair. Vendors there said the bill was passed by a white female, but it’s unclear if she even knew the bill was counterfeit. (Columbus, OH)--The Preble County man who just last month was sentenced to three years in prison for killing his roommate has died. 44-year-old David Ramsey died at a prison medical facility in Columbus on Wednesday. Ramsey shot and killed 43-year-old William Pike at a home near Gratis and then dumped the body. Ramsey had been diagnosed with lung cancer after being jailed. (Richmond, IN)--The teachers union for Richmond Community Schools publically voiced its unrest and skepticism over two hires at Wednesday night’s RCS Board meeting. The board approved hiring two people to fill two new central office administrative positions. Both come from the Muncie area and both new employees were familiar to new RCS Superintendent Todd Terrill from his time there. REA President Kelly McDermott told the board that there is "absolutely no challenge to Terrill’s authority." All but one board member voted in support of Terrill. Jeff Slifer was the only board member to vote against the hiring. (Richmond, IN)--Armed robbery charges have been dropped against Richmond teens Taij Brown and Devante Ferguson. Those two, along with a teen from Marion, were arrested last December for beating another teen and taking his shoes and cash at the Southview Apartments in Richmond. Charges have now been dropped for a reason that’s becoming a trend locally and nationally…the victim is refusing to cooperate with prosecutors. The victim now has an active warrant for his arrest in an unrelated case. (Richmond, IN)--Reid Hospital is becoming a teaching hospital. "This is a historic day at Reid," said CEO Craig Kinyon when he announced Tuesday that Reid has partnered with Marian University’s College of Osteopathic Medicine. It means that up to 18 doctors will be training in Richmond with the hope that some will establish a practice here. "The truth is, without physicians, we really can't do anything. We can't provide care. We can't fulfill our mission. And, we can't serve patients. 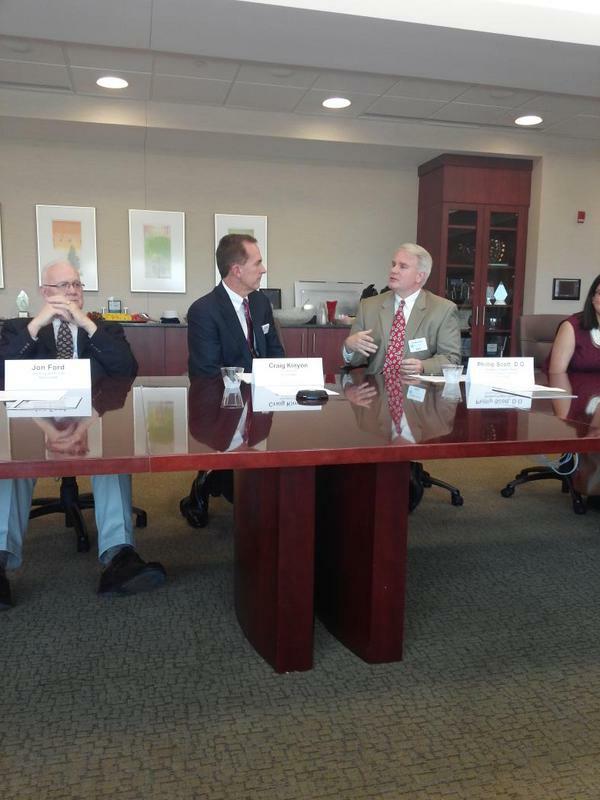 We know that physicians are vital to our existence now and going forward," Kinyon added. Residents will take part in a three-year program in which they’ll work closely with established physicians. Reid Hospital currently has openings for more than three dozen doctors. That’s why Tuesday’s announcement is vitally important to the Whitewater Valley. "One thing we do need is doctors. We'll make our dent in that need through our training program," said Jon Ford, Reid’s Board Chairman. Six new medical school graduates each year will train at Reid. (Richmond, IN)--Richmond police followed a car leaving a known drug house Tuesdaday afternoon, stopped that car in Glen Miller Park, and uncovered methamphetamine. 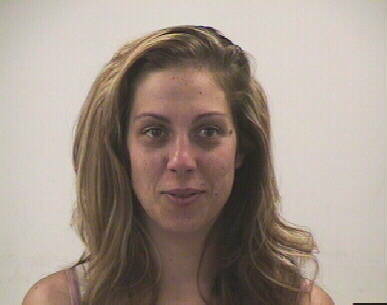 28-year-old Brittany Garrison of New Paris was the driver. 24-year-old Allsion Short of Richmond and 27-year-old Brandon Watson of West Manchester were in the car. Garrison and Watson were charged with possession of meth. Watson was also charged with attempted escape. All three were in the Wayne County Jail Wednesday morning. (Connersville, IN)--A Richmond man who shot people in both Richmond and Connersville has had some of his convictions overturned by an appeals court. Bryson Street is currently in state prison in Pendleton. 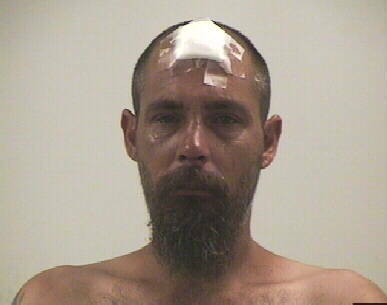 He shot a Connersville man last year while committing a drug-related robbery. The appeals court ruled that the same evidence was used to get more than one conviction, violating Street’s rights against double jeopardy. Street will now be resentenced and will get much less than the 78 years he was originally given. 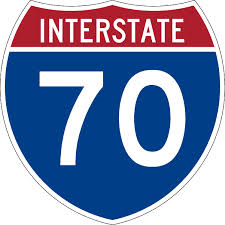 (Richmond, IN)--A man was struck on I-70 Tuesday morning. A trucker crossing the state line from Ohio into Indiana saw that man lying on the side of the interstate at around 4:15 Tuesday morning. The victim was taken to Reid Hospital. His identity and condition have not been released, although the initial report was that he is a Richmond man. Investigators don’t yet know what he was doing on the interstate. (Richmond, IN)--A Muncie mother who made national news last month when she drove drunk and naked was behind bars in Richmond Tuesday. 24-year-old Daisha Clark is in the Wayne County Jail on charges that include criminal conversion and mischief after allegedly shoplifting at Menard’s. Last month, she told police she misplaced her child after leaving naked from a man’s home, crashing into another car, and then fleeing the scene. The child was found unharmed. 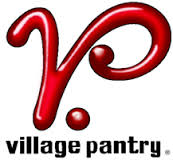 (Richmond, IN)--A Richmond Village Pantry was robbed at gunpoint Monday morning. It happened just before three Monday morning at the corner of South Ninth and L. The suspect is described as a white male, about 5-10, and wearing a blue bandana. He produced a black gun and demanded cash and the clerk’s cell phone. The man fled with the cash in a Village Pantry bag toward the rear of the store and toward Perry Street. No injuries were reported. 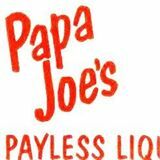 (Richmond, IN)--An allegedly drunker driver slammed his pickup truck into, of all places, Papa Joe’s Liquor in Richmond Monday morning. The driver hit the building at the east end of the G Street Bridge at around 3:30 a.m. The truck went through a cinder-block wall and into Papa Joe’s. "We found a Dodge pickup truck halfway into the building. There is structural damage," said Battalion Chief Eric Holmes. The driver was taken to Reid Hospital. Damage at Papa Joe’s is still being assessed. The driver’s name and condition have not been released. Criminal charges are pending. (Richmond, IN)--Investigators have released a surveillance image of the man who tried to rob the Wayne County Federal Credit Union on West Main in Richmond Friday afternoon. The man handed the teller a note, but apparently got cold feet when she questioned him. He walked away with no money being taken. The suspect appears to be a younger white male. He fled toward the old West Side Splash Club. (Whitewater Valley)--Cleanup continues after high winds blew through Richmond Thurday afternoon. Gusts topping 60 miles an hour brought down trees and power lines. Dispatchers fielded 30 calls about fallen trees in Richmond and another 14 calls regarding downed power lines. Large trees caused heavy damage when they fell into homes on South 11th, South 13th, and South 22nd. As many as 500 customers of RP&L were without power, mostly on the city’s west side. All power had been restored by Friday morning. No injuries were reported. State Route 122 between Eaton and West Florence in Preble County remained closed Friday morning as a result of high winds that blew through Thursday. 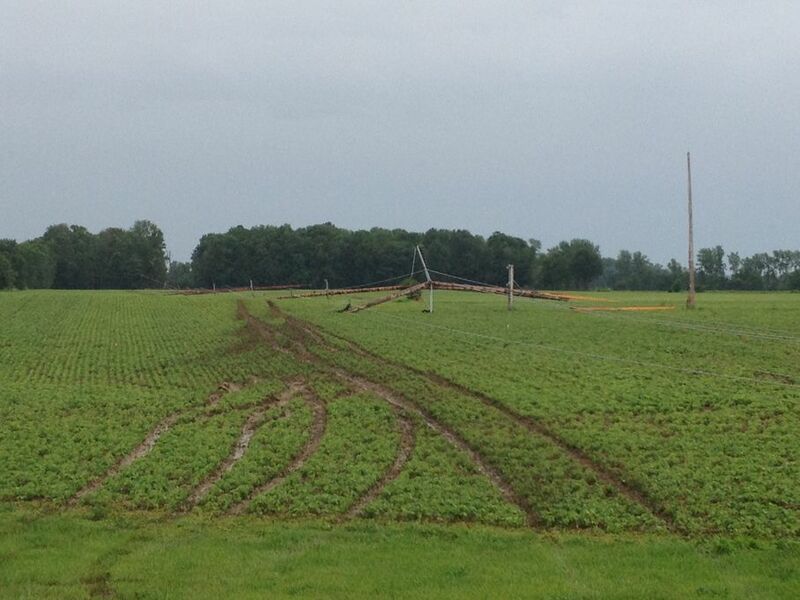 17 utility poles snapped. "The wind was scary," said Rachel Asher, who lives nearby. About a thousand DP&L customers lost power, including Sheriff Mike Simpson. "We were out for, I'm guessing, an hour and a half," Simpson said. In Eaton, the wind blew down the sign at the Red Mule. It also took down a railroad crossing gate on Main Street, which is U.S. 35. (Covington, KY)--The man who police say robbed the Fifth Third Bank in Connersville earlier this week has been captured. The Sock Hat Bandit was taken into custody after a chase in northern Kentucky Thursday afternoon. 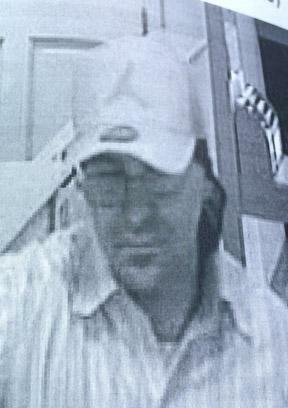 Connersville’s bank is one of ten allegedly robbed by Brian Parnell of Dayton in the last two months. He has admitted to all but one of the robberies. (Richmond, IN)--The Wayne County Fair kicks off Friday night. 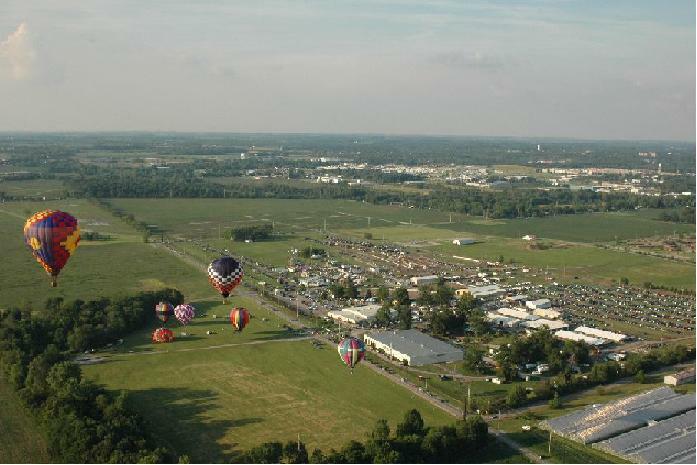 Some of the highlights include hot air balloons, a petting zoo, a model train display, a mechanical bull, and fireworks on June 26. Poor Jacks Amusements will begin with rides on Monday. Admission is $5 per carload. Here is a complete schedule of events for this year's fair. (Greenville, OH)--The man who escaped from the Randolph County Jail on Monday was captured Wednesday. 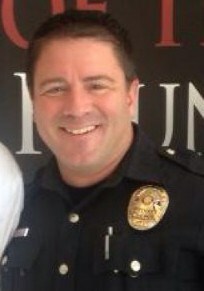 A tip was received by law enforcement indicating that Robert Lewis was in Greenville. A deputy located Lewis standing outside a stolen truck and approached. Lewis tried to run and was taken down by a Taser. 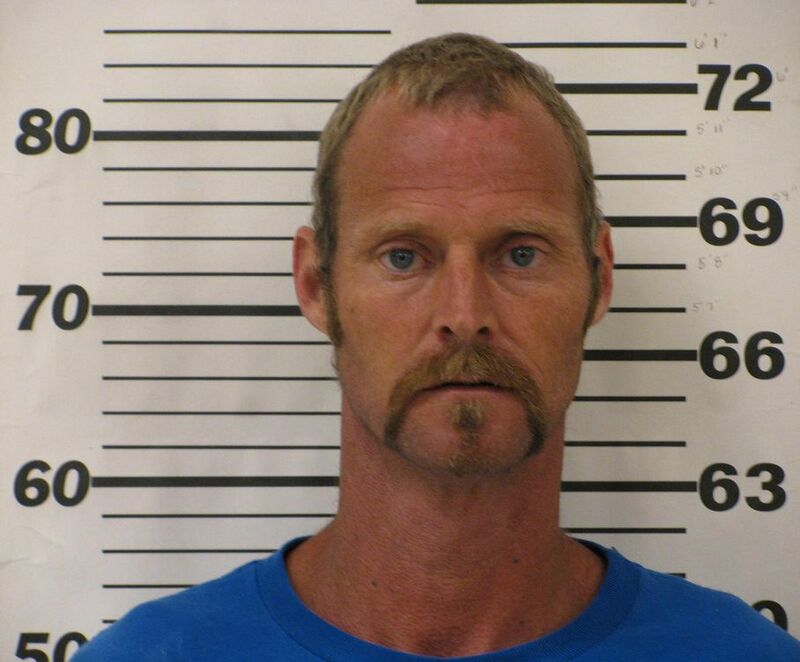 He was taken to the Darke County Jail and will now be extradited back to Randolph County. Lewis’s three days of freedom could cost him as much as six years behind bars. (Richmond, IN)--The traffic division of the Richmond Police Department has now completed its report on an accident two weeks ago that killed Kevin Spurgin on National Road East. The report states that the other person involved in the crash, James Dishmon, was going at least 75 miles per hour when he hit Spurgin broadside. Dishmon was rushing to get to the Richmond Treatment Center for a dose of methadone. The speed limit is 50. The case has now gone to the Wayne County Prosecutor’s Office. Criminal charges are imminent. (Richmond, IN)--There are more problems for the city of Richmond’s financial reporting and recordkeeping systems. City officials were indicating Wednesday that the city’s GEMS accounting service software has crashed and there appears to be no backup. Now, forensics experts are working to retrieve the data. If it cannot be retrieved, financial records dating back to as far as the first of the year may be lost. The crash affects the general ledger, payables, and purchasing database. (Connersville, IN)--There was a bank robbery in Connersville Tuesday. A man entered the Fifth Third Bank branch on West Fifth at around 2:45 and handed the teller a note claiming that he had a gun and demanded money. The man fled east on foot. He’s described as a white male in his 40’s, slightly taller than average, and with a thin build. There were no injuries. 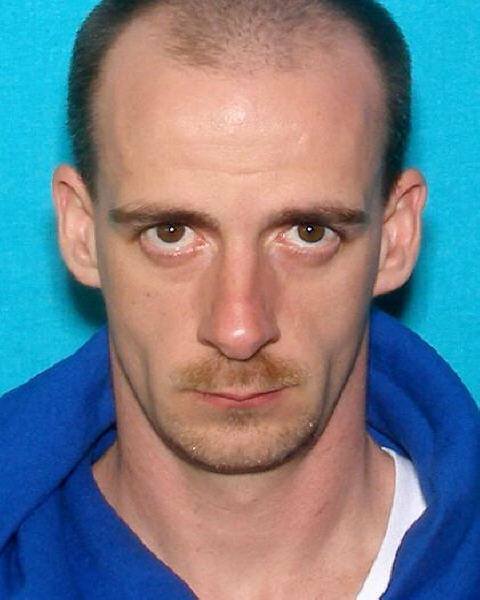 (Winchester, IN)--The search continued Tuesday morning for an escaped Randolph County inmate. 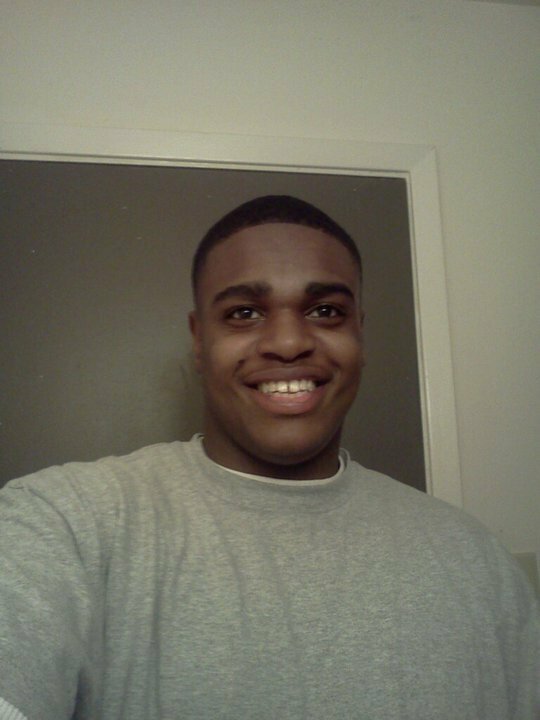 26-year-old Robert Lewis has been gone since 3:30 Monday morning. Monday night, Randolph County Chief Deputy Douglas Fritz said that Lewis is now believed to be driving a black 1990 Ford F-150 pickup truck with a gray stripe near the running board. He was seen in Richmond early Monday morning, but there have been no further sightings. Lewis was due to be sentenced for burglary late next week. On Monday, he was charged with escape. That could add another six years to his sentence. (Richmond, IN)--It’s good news for people who would normally drive Salisbury Road…city officials confirmed Monday that Salisbury Road will re-open on Friday and will not have to close again. Construction on Salisbury took much longer than anticipated due to a utility’s refusal to move lines. There will still be touch-up work to do on the heavily-traveled north-south road, but it will not require complete closure. (Columbus, OH)--Preble County’s public school districts would see a big increase in funding if the Ohio State Senate’s budget passes. National Trail would see a 25% increase. Eaton would get a 17% bump, and Preble Shawnee and Tri County North would get just under 16%. Twin Valley is set for just a 6% increase. In Darke County, Tri Village would get a 33% increase in school funding. 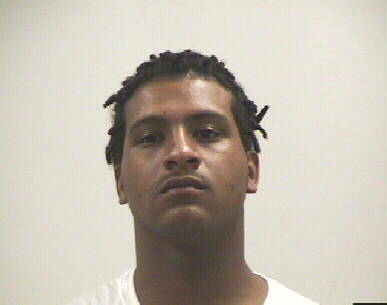 (Winchester, IN)--A prisonerescaped from the Randolph County Jail in Winchester Monday morning. Randolph County officials are refusing to release even the most basic information about the inmate, but Kicks 96 and the Point News has learned from other sources that the inmate is 26-year-old Robert Lewis. Lewis was last seen at 3:20 Monday morning. He was wearing a yellow jail jumpsuit. It’s not known yet how Lewis escaped. He was jailed after being arrested for stealing about $80,000 from the owner of the Winchester Speedway last fall. (Eaton, OH)--A brand-new trial date has been set for Chastity Hall. She’s the West Alexandria mother who allegedly left her two elementary-aged children home alone overnight earlier this year so that she could go out drinking. Those two children died when a fire broke out. 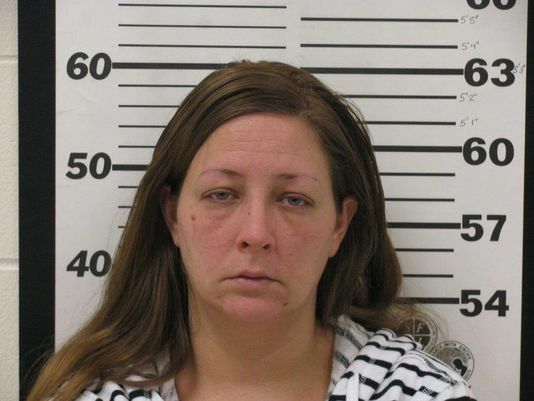 "The mother failed recklesslessly to live up to her duty to care and support and protect those children," said Preble County Prosecutor Martin Votel. 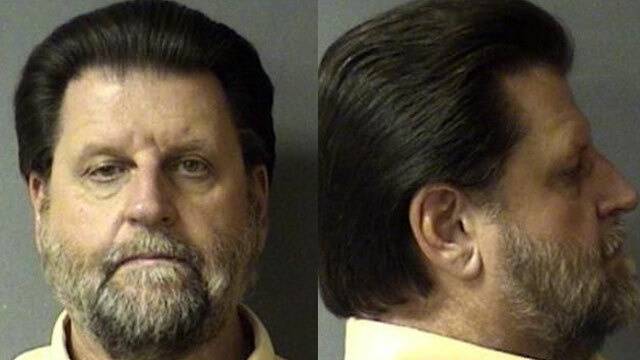 A new trial date of July 26 has been set. Hall faces two counts of manslaughter. (Richmond, IN)--What better to do on a Saturday morning than get drunk and run naked around Glen Miller Park? 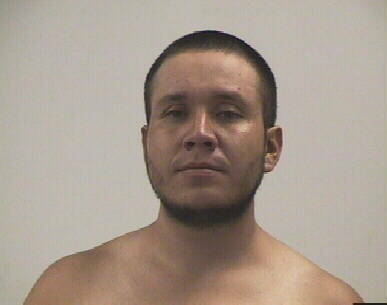 Those are among the allegations that had a 27-year-old Richmond man in jail Monday morning. Armando Calderon was the subject of several calls from witnesses who saw a naked man around 10 Saturday morning. Calderon faces charges that include vicarious sexual gratification. That’s a felony. 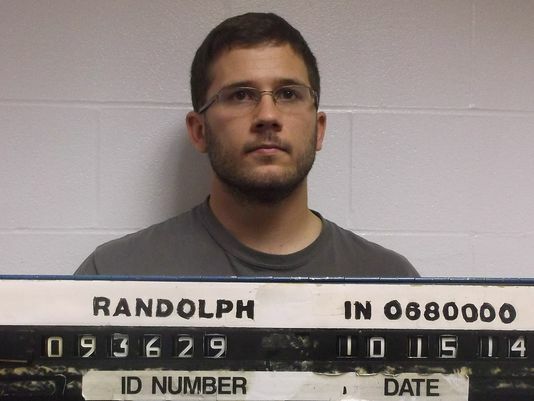 (Anderson, IN)--A former vice principal at Test Intermediate and Richmond High School has been arrested for child solicitation. 60-year-old Kevin Porter most recently was a science teacher at a Christian school in Anderson. But, in the 1990’s, he was in Richmond at both Test and RHS where he was vice principal to thousands of students. Porter this week admitted to engaging in sexually explicit conversations with a 15-year-old female student. The contact included emails, phone calls, and text messages. Porter admitted to talking with the student about the sexual things he wanted to do with her because his dying wife left him sexually frustrated. No allegations surfaced during Porter’s time in Richmond. (Economy, IN)--The good news for 39-year-old Harold Williams is that he walked away from a head-on crash with a semi Friday morning. The bad news for him is that he’s in the Wayne County Jail facing charges that include drunken driving and leaving the scene of an accident. Williams hit the semi, which was hauling hazardous material, on U.S. 35 near his home in Economy at 1 o’clock Friday morning. No hazardous material leaked out, although 35 had to be closed for about two hours. It re-opened at 3 a.m. Friday. 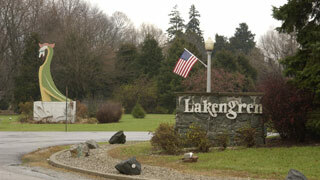 (Brookville, IN)--Brookville Lake has been included in a list of America’s Top 100 Family Fishing and Boating spots. That lake, along with Whitewater Memorial State Park, combined to rank 20th nationally in a list compiled by a national boating organization. Brookville Lake made the list because it’s within an hour’s drive of a major city, has numerous playgrounds and campgrounds, and a wide variety of species of fish. 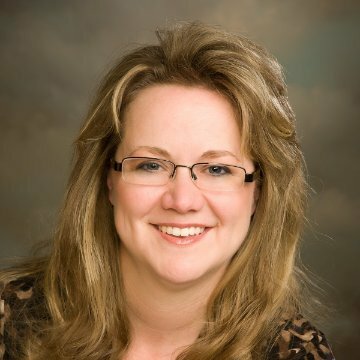 (Richmond, IN)--The YMCA in Richmond has a new executive director and CEO. Misty Hollis will be stepping down from her position as the Director of Student Support and Special Programming with Richmond Community Schools to become the leader of the Richmond YMCA. "The fact is that we need an organization like the YMCA in our community that is teaching life skills to our kids," Hollis said. "Sports, I believe, teaches life skills that you just don't learn in the classroom," she added. Hollis will officially start on August 3. She is also a member of Richmond Common Council. (McKinney, TX)--The attorney for Eric Casebolt on Wednesday explained his side of the incident in Texas that cost the 1992 Richmond High School graduate his job. Casebolt resigned after video captured him pulling a gun and holding a black teenage girl down at a swimming pool. The attorney said that Casebolt had just been on two emotional calls before the pool incident. In the first, a black man shot and killed himself in front of his family. "Eric also spent a considerable amount of time consoling the man's grieving widow," the attorney said. In the second incident, he helped talk a suicidal teen down from a roof. "The nature of these two suicide calls took an emotional toll on Eric Casebolt," the attorney added. Casebolt has lots of family in Richmond. Some have taken to social media to defend him. (Richmond, IN)--A newly-released police report indicates what prompted a Parker City man who was involved in a fatal Richmond crash last week to allegedly speed west National Road East. James Dishmon told investigators that he was headed to the Richmond Treatment Center for methadone and that he intended to return to his job in Muncie after receiving his dose. Criminal charges are still pending as investigators await toxicology results. 31-year-old Kevin Spurgin died in the crash. Spurgin is listed as being at fault because he pulled into the path of Dishmon. Dishmon was driving on a suspended license. (McKinney, TX)--The Texas police officer and former Richmond resident caught up in the latest national police incident has resigned. Eric Casebolt is the white officer who drew his weapon on a group of largely-black teens at a swimming pool. "I want to say to our community that the actions of Casebolt, as seen on the video of the incident at the pool, are indefensible," said McKinney Police Chief Greg Conley on Tuesday. "He came into the call out of control. And, as the video shows, was out of control during the incident," Conely added. But, the chief also said the teens were acting disrespectfully and were out of line. Casebolt is listed in the Richmond High School alumni directory as a 1992 graduate. He has received numerous death threats. (Cambridge City, IN)--The Gateway Industrial Park in Cambridge City cannot expand until sewer issues are addressed. That was the general consensus at a town hall meeting this week. One EDC Board member told council the sewer system is operating near capacity and that Western Wayne Sewer District representatives are failing to respond to questions about expansion. Sugar Creek Packing will open soon. (Winchester, IN)--An alleged bank robber was taken into custody Wednesday morning. 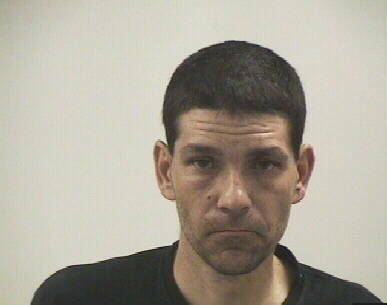 35-year-old Travis Morris was wanted in Wayne County for failing to appear on an armed robbery charge. 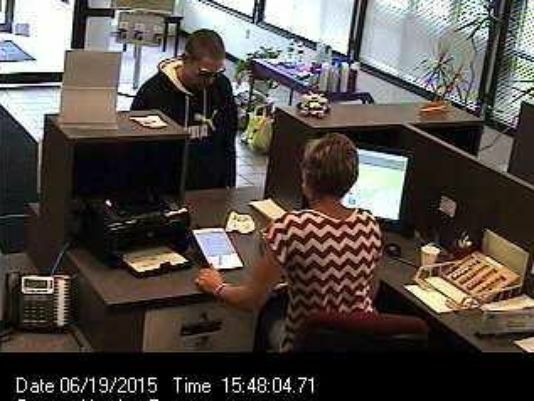 On Tuesday, Morris allegedly robbed a bank in Portland. He was taken into custody in Winchester at 1 o’clock Wednesday morning. Details of what led to his capture have not yet been released. He’s in the Randolph County Jail. (Dallas, TX)--Several media outlets in Texas are reporting that the police officer involved in the videotaped confrontation with a black teenage girl at a swimming pool is a Richmond High School graduate. The Richmond Police Department Monday fielded calls from media including the Dallas Morning News about officer Eric Casebolt. The RHS alumni directory lists an Eric Casebolt as a 1992 graduate. At least one member of the RHS Class of '92 said Monday that it's the same Eric Casebolt. An RPD spokesperson said Monday that Casebolt never served as a police officer in Richmond. Kicks 96 and The Point News has been unable to independently confirm that the Eric Casebolt in question is the same one that graduated from Richmond. 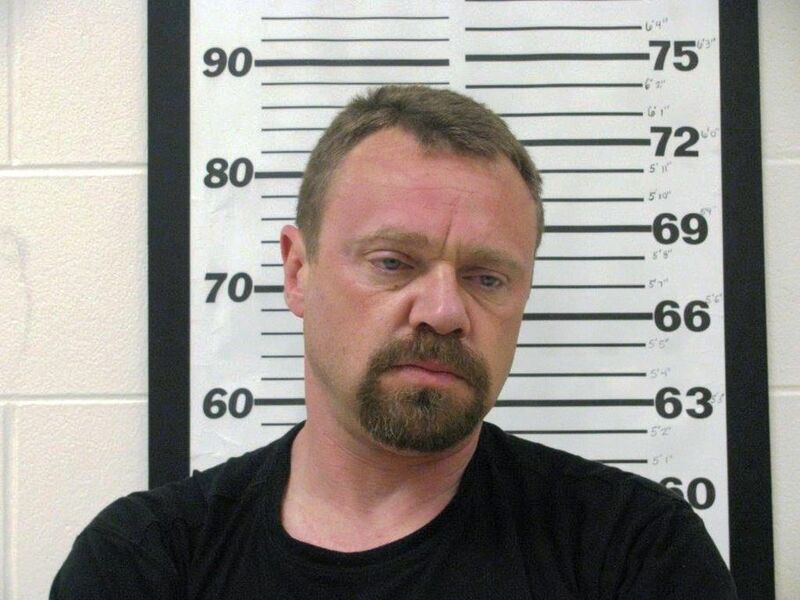 (Eaton, OH)--West Alexandria man will spend the next five years in prison for manufacturing methamphetamine. 41-year-old David Shindeldecker was pulled over for a routine traffic violation last November and found to be in possession of meth. That led to a search of his home, where all the ingredients needed to make meth were found. Children were also in the home. Shindeldecker faces trial later this month for shooting a man in the face with rubber pellets from a 12-gage shotgun. 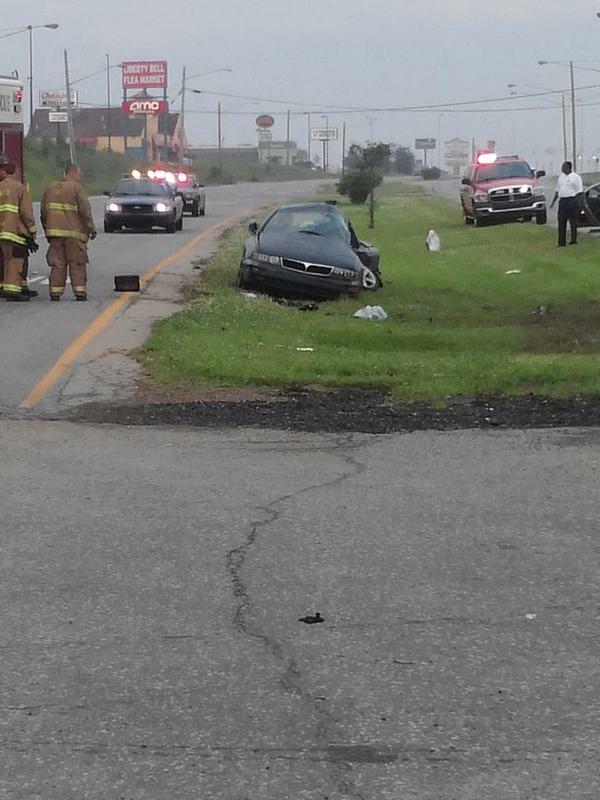 (Fountain City, IN)--There was a rollover accident on U.S. 27 Tuesday morning. It happened at just before six o’clock in the 6700 block of 27 – not far from Northeastern High School. The initial report was that the driver lost control, rolling over and ending up in a driveway. 27 remained open. There’s no word yet on the identity of the driver or his or her condition. (Richmond, IN)--A Richmond teenager was in custody Monday morning after a shots fired call turned into a drug arrest. 19-year-old Tayonne Tevis was allegedly involved in what started as a shots fired call involving two cars in the 400 block of South 9th at just after midnight Monday morning. Tevis allegedly struggled with officers, and a baggie of drugs fell out of his pocket as he was being arrested. He’s charged with possession of heroin, cocaine, and false informing. No injuries were reported. (Richmond, IN)--On the heels of the story last week of the Richmond mother who stabbed her own son over a few dollars comes a report Sunday night that a Richmond man punched his 15-year-old son because that boy refused to fight his brother. Witness accounts of the incident in the Green Meadow Trailer Court differ. But, the man has been charged with battery and is in the Wayne County Jail this morning. Kicks 96 and The Point News is not identifying the man to protect the juvenile victim. (Eaton, OH)--Two men continue to recover after a weekend crash in Lakengren. It happened early Sunday morning when they rolled their truck in the 500 block of Lakengren Drive. It took more than a half-hour to cut one victim free. Two separate Careflight helicopters took the victims to Miami Valley Hospital in Dayton. Their identities and conditions have not been released. The cause of the crash remains under investigation. (Richmond, IN)--An occupied home caught fire Friday morning in Richmond. It broke out at around 3:15 Friday morning in the 400 block of North 17th. Six people were inside. Five were upstairs. They escaped with a neighbor’s help. "The residents were coming out of the window onto a second-floor porch roof. The neighbor put up a ladder, and they were coming down the ladder when we first pulled up," said Battalion Chief Jeff Glenn. All residents escaped without injury. Glenn said that may have not been the case without the neighbor’s help. "Definitely. It's a good thing neighbors were there to lend a hand and help." The cause remains under investigation. The home is not a total loss, but damage was significant. (Richmond, IN)--There was a domestic stabbing in Richmond Friday morning. 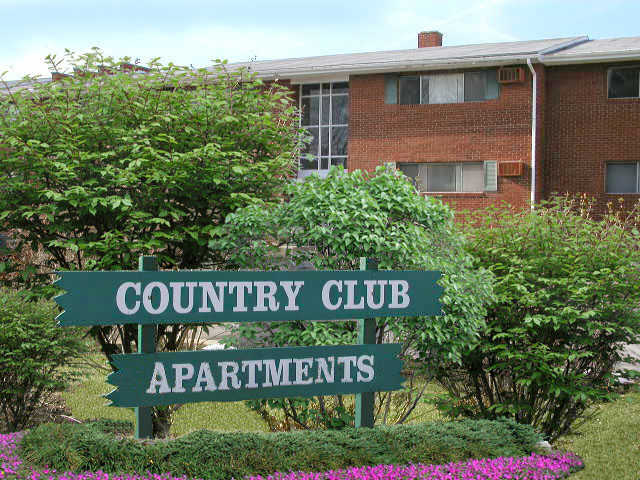 It happened at the Country Club Apartments at around 3:30 Friday morning and involved a mother and her 15-year-old son. Initial reports indicated that the mother stabbed her son over the three dollars he had taken from her. The boy was taken to Reid Hospital with non-life-threatening injuries. 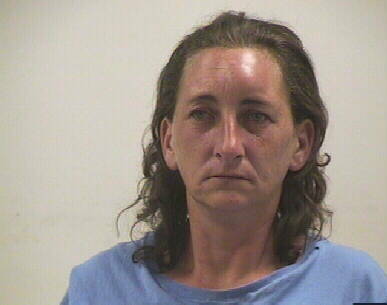 The mother was taken to the Wayne County Jail and charged with battery. Kicks 96 and the Point News is not releasing her name to protect the identity of the victim. (Richmond, IN)--Criminal charges will almost certainly be filed against the driver of a car involved in a fatal crash in Richmond Thursday. 31-year-old Kevin Spurgin died in the crash on National Road East. Now, investigators are calling in specialists to determine just how fast 42-year-old James Dishmon was driving. "We're gonna do a crush analysis and momentum factor, where we'll do departure angles and impact angles," said Lieutenant Donnie Benedict. "Reconstructionist Ami Miller is guessing that the speed was much higher than 50," Benedict added. The speed limit at the spot of the crash was 40. Dishmon’s license had been suspended and there were illegal drugs in his system. Also, he was traveling with a 19-month-old child. (Richmond, IN)--One person was killed Thursday morning in a crash on National Road East at the intersection of Gravel Pit Road at around 6 a.m. The early indication is that the victim was headed south on Gravel Pit and attempting to cross National Road East when that driver pulled out in front of a westbound car. The victim’s car was hit broadside. He or she was pronounced dead at the scene. The occupants of the other car also sustained injuries. Identities were not immediately released. Westbound traffic on National Road East was being diverted onto Woodside Drive. One lane of National Road East was open for eastbound drivers, although traffic is slow in the area. (Richmond, IN)--Passers-by on I-70 through Wayne County will see a new outdoor show area for a farm equipment dealer. Approval has been given for the purchase of a 15-acre lot in the Midwest Industrial Park near Osborn from the city of Richmond. 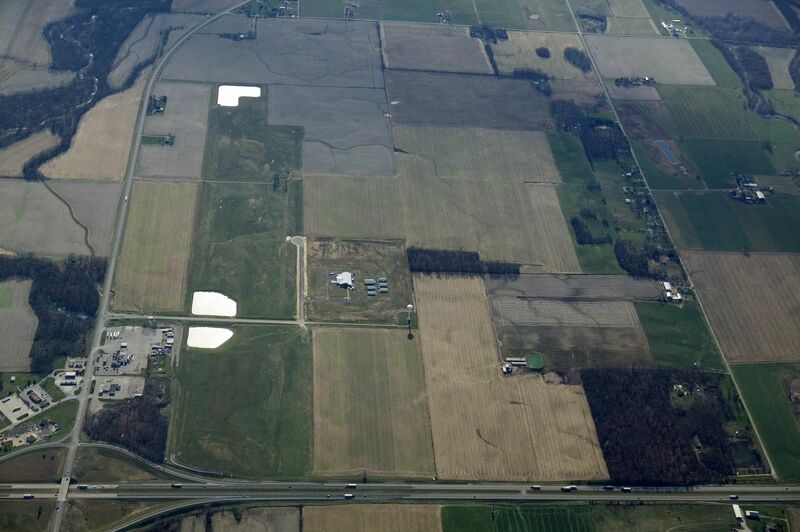 New Holland will move from its current location on U.S. 40 between Richmond and Centerville. 11 of the 15 acres in New Holland’s lot are too swampy to support a structure, so other tenants agreed to allow New Holland to construct a non-industrial building. Gravel will be laid near the fence along I-70 so the equipment can be displayed. (Richmond, IN)--Construction began Wednesday on IU East’s new Student Events and Activities Center. It will be the fifth building on the Richmond campus and, when it’s complete in the fall of next year, will be the home of athletic events, health and wellness programs, and student activities. The project is being funded in part by the $1.7 million that was raised through a campaign. The Springwood Hall parking lot will be closed throughout the construction period. (Richmond, IN)--Richmond’s Board of Public Works on Thursday will deal with the contract to Umbaugh and Associates. That accounting firm was hired more than a year ago to clean up the city’s financial reporting mess that was created when Controller Tammy Glenn was abruptly fired. The updated contract calls for Umbaugh to be paid up to $2600 a month with another maximum $10,000 payable to help the city through its budget process. It will likely take the total paid to Umbaugh to over $100,000. 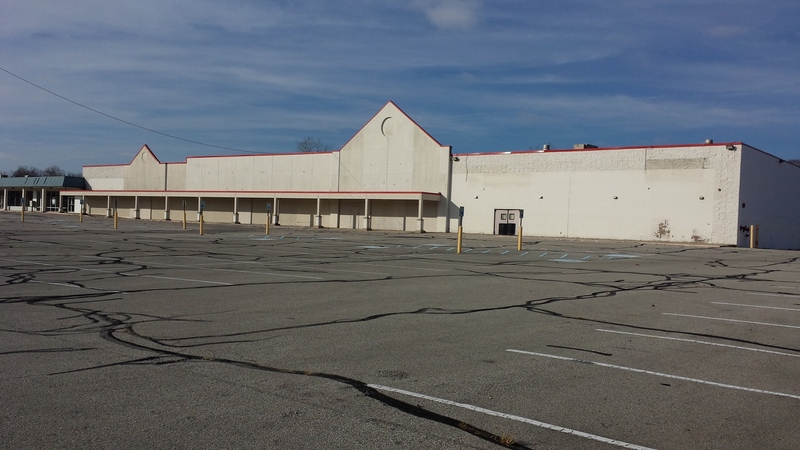 (Richmond, IN)--The former County Market on National Road West in Richmond will lose the company that has leased it for the last four years. The former grocery has been leased to Supervalu grocers. That company has paid $300,000 annually for the building to sit empty and have now made the decision not to open a grocery. The lease expires at the end of the year. The owners have been in contact with a company that can raise the roof by 30 feet, making the building more attractive for light manufacturing or warehousing. (Richmond, IN)--Former basketball rivals are now teaming up to teach fundamentals to kids and discourage bullying. 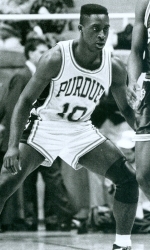 RHS standout and 1988 Mr. Basketball Woody Austin battled Jay Edwards and Lyndon Jones when they were at Marion and again when they were at IU and Austin was at Purdue. Now, they’ve formed a company together called MB3 that teaches basketball and life skills to kids. They’ll be holding a camp at Earlham College on June 12 that's open to boys and girls of all skill levels for ages 7-12. Woody said they can still play. "Myself, I'm a scorer. Lyndon is a point guard and plays defense. Jay has the jumper. I think we can provide a lot of experience and a lot of teaching skills to the kids," Austin said. There will be an anti-bullying theme along with basketball instruction. "I think it will be a good time, and, hopefully, we'll see a lot of kids come out," Austin added. More information and registration is available at mrbasketballthree.com. (Wayne County, IN)--A Michigan trucker was killed in a crash on I-70 late Tuesday afternoon. The preliminary investigation indicated one semi rear-ended another on westbound 70 near the Salisbury Road overpass. The driver that caused the crash hit a bridge abutment and was pronounced dead. The other driver sustained minor injuries. Interstate traffic was diverted into Richmond, clogging city streets for more than three hours. 70 re-opened at about 9 o’clock Tuesday night. (Preble County, OH)--Three people sustained non-life-threatening injuries Tuesday morning when the SUV they were in was struck by a train in Preble County. The SUV was traveling on U.S. 127 about three miles south of Eaton at around 5 a.m. Tuesday when it left the roadway and became stuck on the tracks near Brower Road. 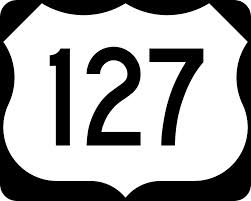 The tracks run parallel to 127 there but do not cross the highway. All three people were taken to an area hospital. Their identities, along with details of what caused the SUV to leave the highway, were not immediately released. (Connersville, IN)--Fayette County leaders have now met with state officials about pursuing a needle exchange program for drug users. It’s an effort not only to prevent the spread of hepatitis and HIV, but also to head off the staggering cost of treatment. The CDC estimates the cost of treating just one person for hepatitis C for six months is $200,000. 60 cases have been reported in Fayette County this year. That’s $12,000,000 in treatment costs, and that doesn’t count 72 cases reported last year. Many of the cases involve drug users with no health insurance. 20% of adults in Fayette County have no health coverage. 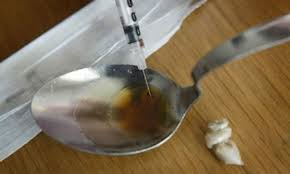 Wayne County would also qualify for needle exchange. 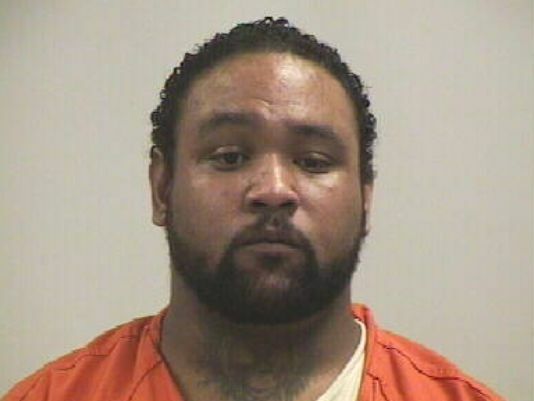 (Richmond, IN)--Another alleged Richmond drug dealer was taken into custody Monday night. 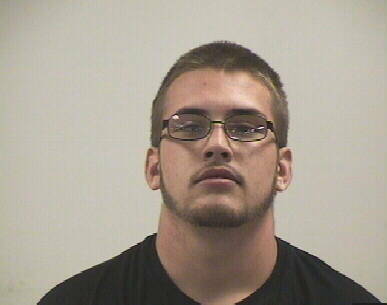 20-year-old David Youngblood now faces two counts of dealing cocaine. Youngblood was in the Wayne County Jail for all of 47 minutes before he was able to post a $35,000 and be set free. 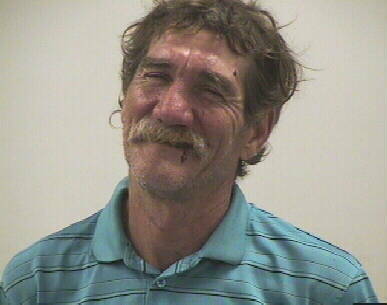 Also yesterday, 48-year-old Richard Faddis of Richmond was jailed on a charge of sexual battery. Details have not been released. (Randolph County, IN)--An elderly man was saved Sunday after floating a mile and a half down the flooded Mississinewa River in his car. The 80-year-old told dispatchers he had become stranded in high water near the intersection of Highways 1 and 28 in Randolph County. A nearby trooper arrived, but the man’s vehicle had already started floating down river. Trooper Mike Bradbury then jumped into a passer-by’s truck and the two drove through the high water, waded into the river, and pulled the man to safety. The water had reached the bottom of the car’s window. (Oxford, OH)--Oxford police don’t know if it’s some sort of protest, but American flags are being stolen from locations all across town. Half a dozen flags were taken from the Community Arts Center. Numerous others have been taken from private residences. The Oxford Rotary Club has replaced some of the flags that have been taken in the last week. The cases are under investigation. (Whitewater Valley)--Signs are being placed along the Whitewater River as part of an EPA order to the Indiana Department of Environmental Management. It’s because Indiana has been identified as a high polluter of water due largely to agricultural chemicals. Water that flows through the Whitewater eventually reaches the Gulf of Mexico. The signs are part of the EPA’s efforts to repair a 100-square-mile dead zone in the Gulf.